Are you thinking about a WEDDING, are you preparing for one of the most beautiful moments in a person’s life? You do know however, that the first step towards your special day needs to be done six months in advance? Does it seem impossible to you? It is the reality though. Would you like to have a dream wedding, just as you had dreamt of as a child, a beautiful and grand one just like the ones in romantic films or fairytales? Then think about whether you really want to spend your wedding day solving issues such as the seating arrangement for guests at the wedding table, problems with dog-sitting, or worries concerning whether your bride-to-be will forget to pick the wedding bouquet up…Would not it be better to leave these worries to someone else? Trust the experts, trust us. 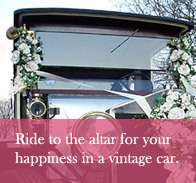 Make you life more pleasant and enjoy your big day in peace and tranquillity. We will plan and prepare everything for you from A to Z – everything to the utmost detail, which may not even occur to you at the moment. Your entire wedding can be dressed up in a unified and original wedding design. You will not have a wedding like everyone else. Your wedding will be unique. Trusting your wedding to the wedding agency brings notable advantages. Timely planning and perfectly organized wedding preparations, reservations of dates, selection of suitable locations, originality, coordination of the wedding day and last but not least, individual and thoughtful approach to each client, all in a unified wedding design is just a sample of what we can offer you. Immo et Immo wedding agency will arrange everything and organize even the smallest details for you. We will visit you and discuss your wishes, ideas and requirements together. Not only do we want to save you time, but we would like to make the last days before your journey through life together pleasant. Trust us. And what will you do? Just enjoy your wedding day in peace and well-being. All you have to do is come and say your I do – I do, Immo et Immo. The 14th of February is Valentine’s…do not forget to give your loved one something special.